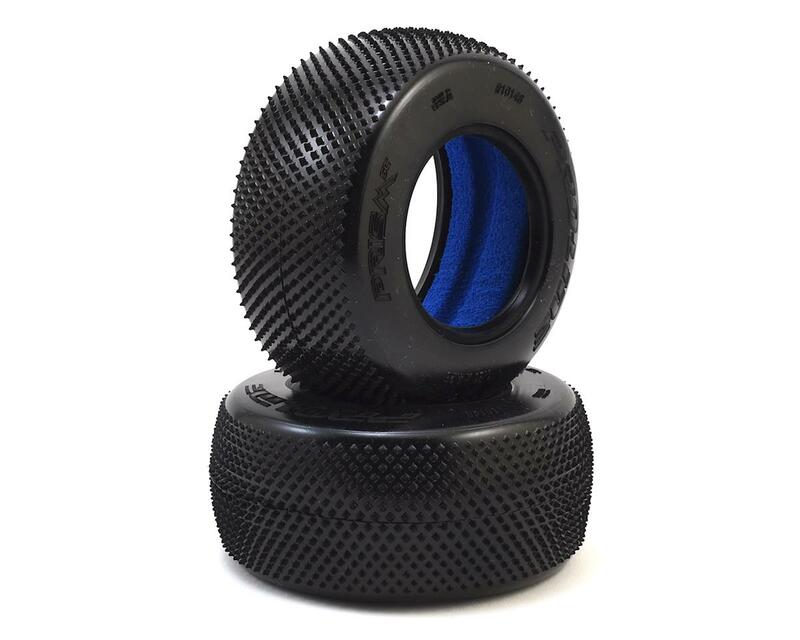 Pro-Line Prism Carpet SC 2.2/3.0" Short Course Truck Tires feature a plethora of Ultra-Sharp Prism shaped Pins laid out in a unique pattern that grip the carpet better than anything. 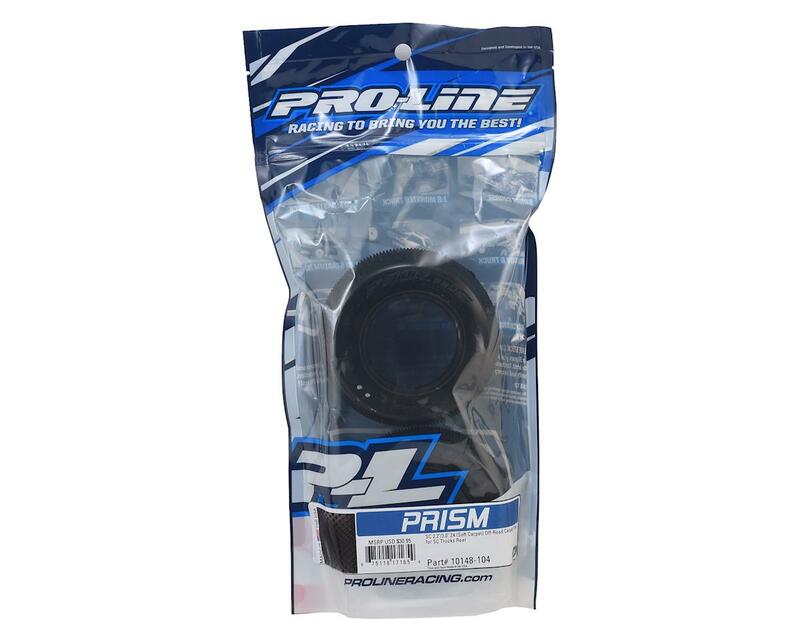 The pins on the Prism are slightly smaller than the original Pin Point rear tire but there are many more of them, which results in faster and more consistent lap times. The Prism has been positioned with the knife edge pointed front to back and side to side for maximum grip and to stay sharp even as they wear down.